The works in David Barr’s Sawpath Series go far beyond a mere commemoration of Michigan lumbering. For in the Sawpath Series, as in nature, investigation of even the simplest form can lead to ever-expanding knowledge and understanding. 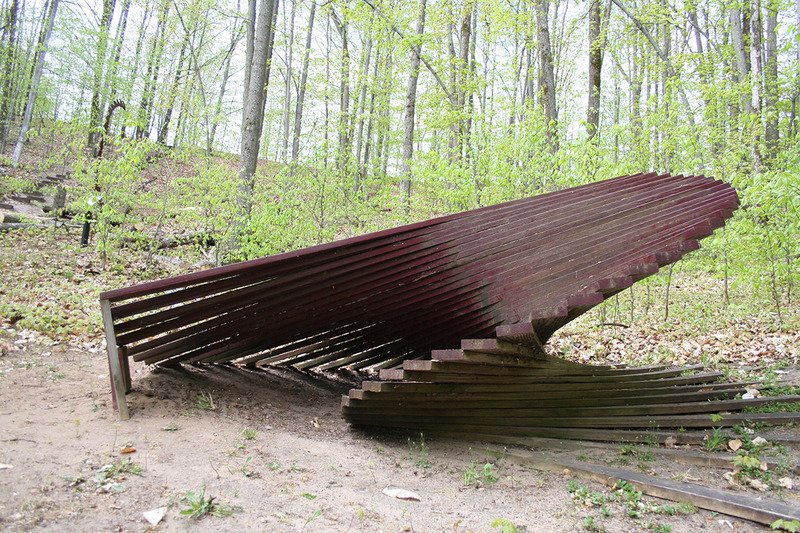 The Sawpath Series consists of five sculptures. 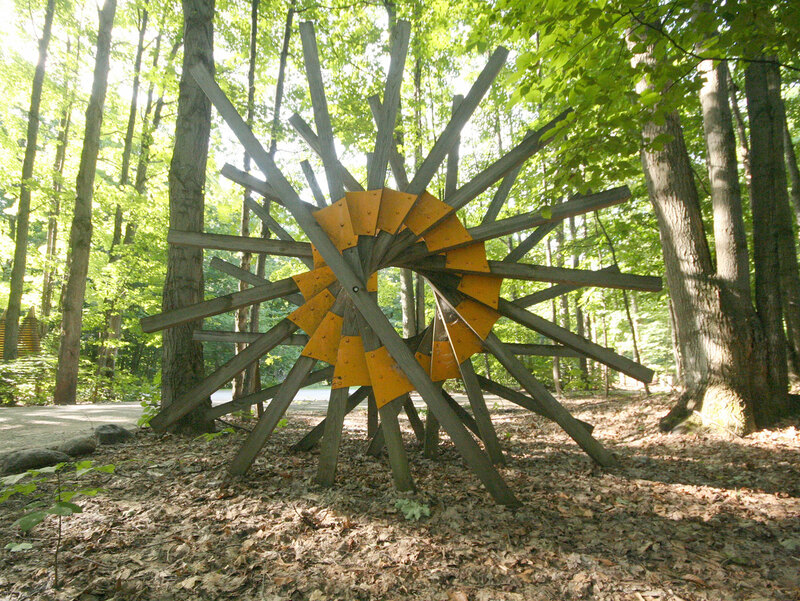 Their spiraling form reflects the “Golden Mean” first articulated by Italian mathematician Leonardo Fibonacci. The numbers form an infinite series or spiral in which each number after one is the sum of the two preceding numbers, 1, 1, 2, 3, 5, 8, 13, 21, 34…. This progression is seen throughout nature and is present in the growth pattern of pine needles and cones, and the branching of trees themselves. 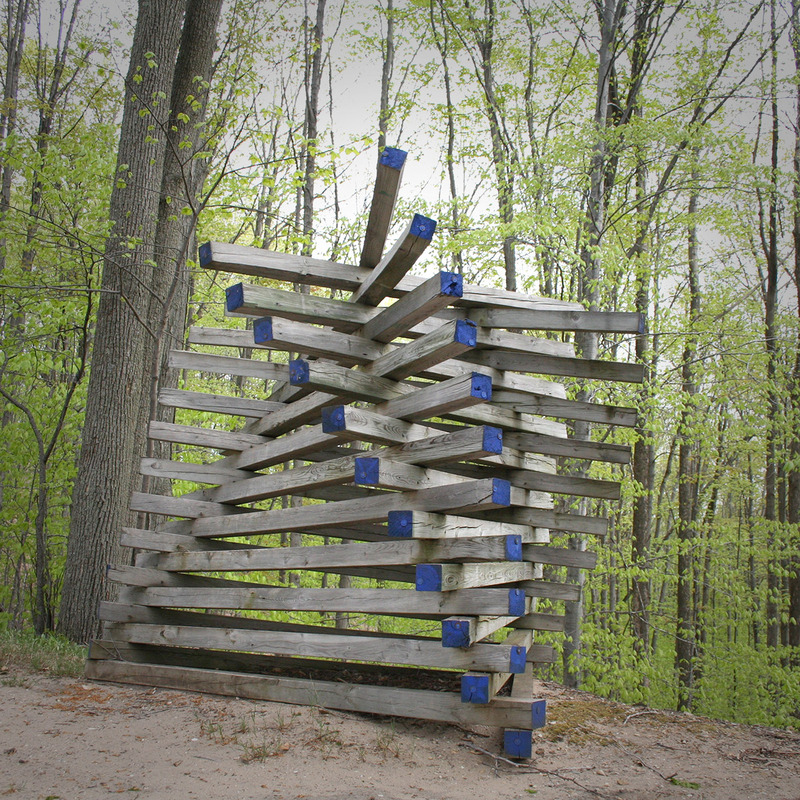 It is reflected in patterns Barr has chosen for his work.Upon first viewing, Sawpath II, III and IV may appear as interestingly stacked wood reminiscent of the days when huge piles of pine logs, harvested throughout winter, awaited the thawing of the rivers and streams that would take them to the mills of Saginaw and Muskegon. 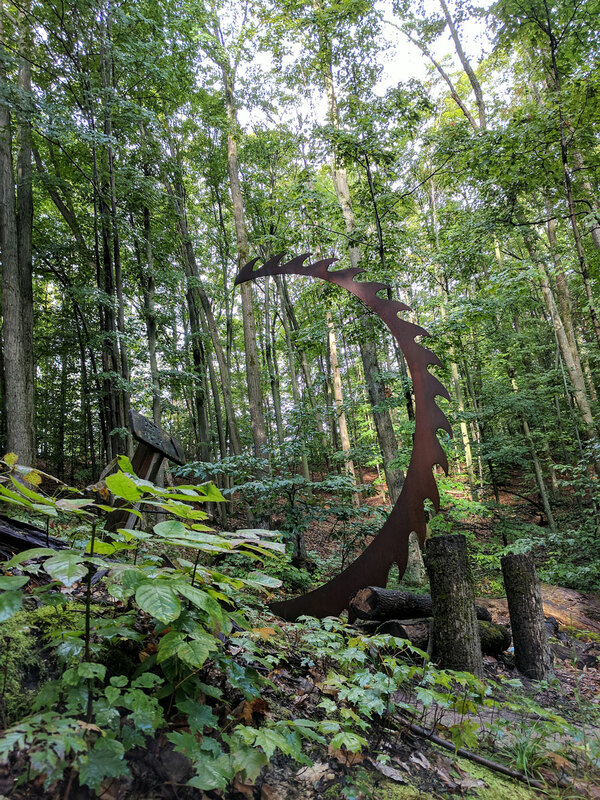 Sawpath Series IV, with its 16-foot sculpted blade, seems to part the curtain of time as well as clear a path in the forest. Through the opening, one might imagine lumbermen working first with the hand-driven whipsaw, then the steam-driven buzz saw and finally the band saw. 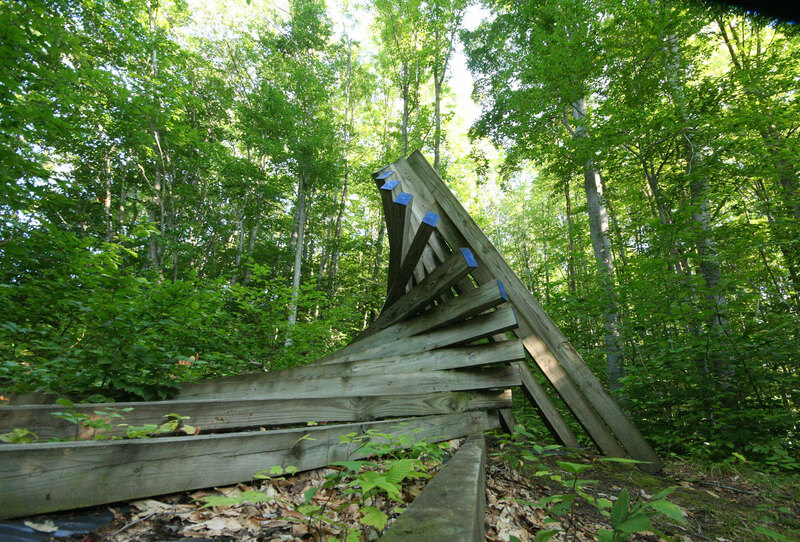 Lumber mills often used color on the stub end of the log to categorize the species or quality of the wood.Michigan Legacy Art Park is now free of the sounds from a turbulent lumber camp, yet here we can imagine a time that was at once heroic, traumatic and dramatic.